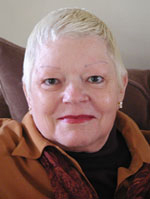 Chelsea Quinn Yarbro has sold 97 books and 83 shorter works of fiction, as well as non-fiction in her 49-year career. She writes in a number of genres and under five different pseudonyms. She has received the Grand Master award from the World Horror Convention, the Living Legend award from the International Horror Guild, the Life Achievement awards from the Horror Writers Association and the World Fantasy Convention. The Transylvanian Society of Dracula gave her a literary knighthood at the second World Dracula Congress. Along with Spider Robison, she was the Guest of Honor at the 2018 World Science Fiction Convention in San Jose, CA, in August of 2018.